A movie review of ​FUNNY COW. A contender for worst film I saw in 2017. (For my complete list, click here.) 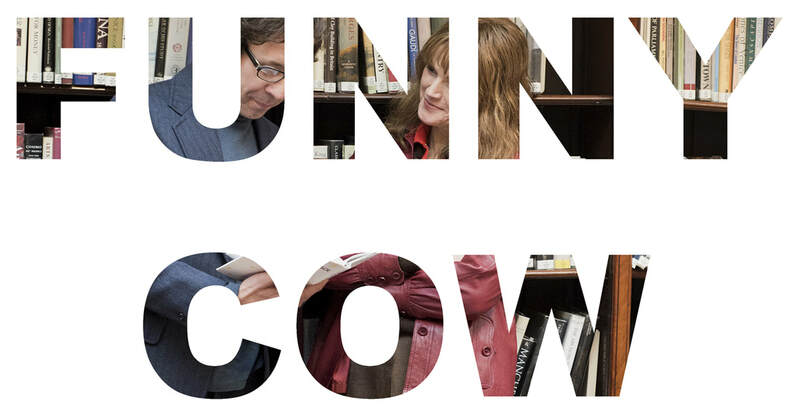 FUNNY COW is an arduous stand-up drama that feels like a leaden biopic. The experience is completely derailed by repeated, dubious inclusions: What's up with the race-related so-called jokes? I gettit, it’s the hardly progressive northern England working men’s club comedy circuit of the 1970s and 80s; but still, why include them? There is no social commentary attached, or acknowledgment of the resultant encouragement of cultural division. Highlighting our separateness through derogatory observations is dispiritingly still topical, but there is no chastisement here. The lead is seen to enjoy them and deliver them. What a disaster for a movie! A gay joke is thrown in and a dwarf doing mime. Surely no intelligent person finds this amusing? ​The protagonist is seen slowly breaking down the gender glass ceiling. Her small-mindedness hampers sympathy for her struggle. She is not given a name, just known as Funny Cow (Maxine Peake). The story looks back on her journey to household fame as a comedian. It is monotone in its grimness. And for a film about comedy, is devoid of laughs. Is that meant to be ironic? It’s unclear. There are momentary mild chortles to be had at the handling of a heckler, but when contemplated the sequence does not sit comfortably in an already mean-spirited film. It is a shame the movie is so inept. The narrative highlights domestic violence perpetrated on women, first by a cruel father, (Stephen Graham – who also plays her brother), followed by a brutal partner, Bob (Tony Pitts – also the screenwriter). She is not seen to be introspective as to how she moved from one to the other, beyond blaming her mother (Christine Bottomley and Lindsey Coulson) for not protecting. The lead is seen to be brave, not shying away from violence - her form of defiance. There is an absence of analysis as to why society produces such men, and why communities do not aid the victims. Why not include the issues raised in the stand-up routines? Compare and contrast Terence Davies’ DISTANT VOICES, STILL LIVES (1988), a more sensitive and artistic film about being working class. FUNNY COW is a movie for the fools that voted for Brexit.